2 DG's: Village sign has disappeared!! 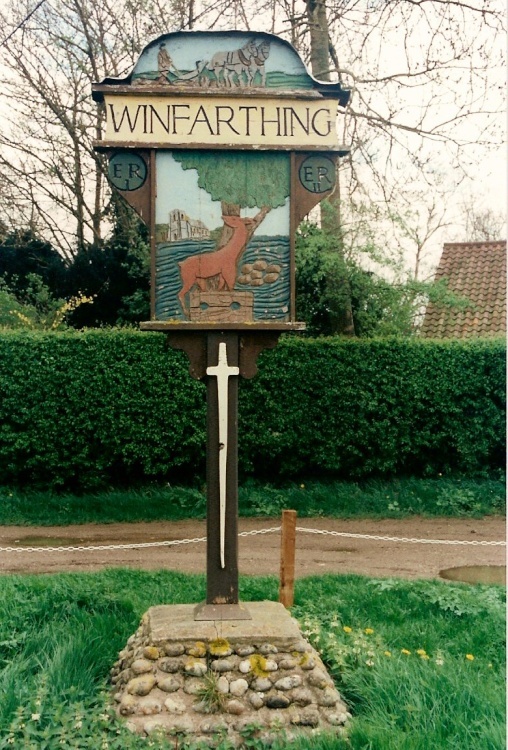 The village is a prime example of a linear village, being strung out along the B1077 road between Diss and Attleborough for around 2 km/1.25m. It is home to a public house, All Saints /church of England Primary school and St Mary's church. Until the early 1990s it had a small Post Office and shop. There is still a red post box at the site of the old Post Office with regular collections. Farming is the primary local business, with several dairy, arable and pig farms in the surrounding area. King Henry VIII is known to have visited the area, and there was a large oak tree in the village at that time that was standing until the late 20th century.